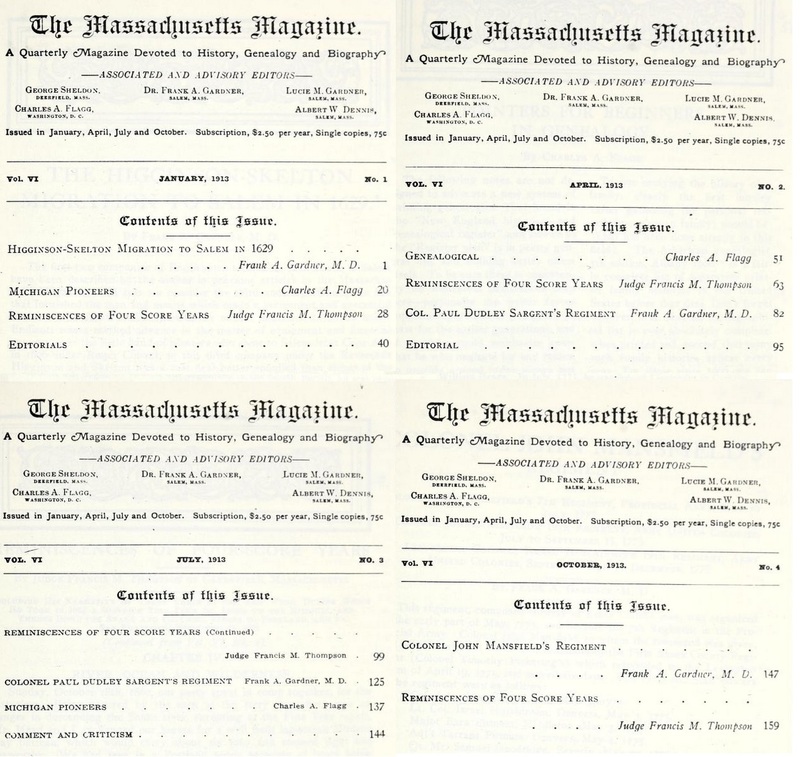 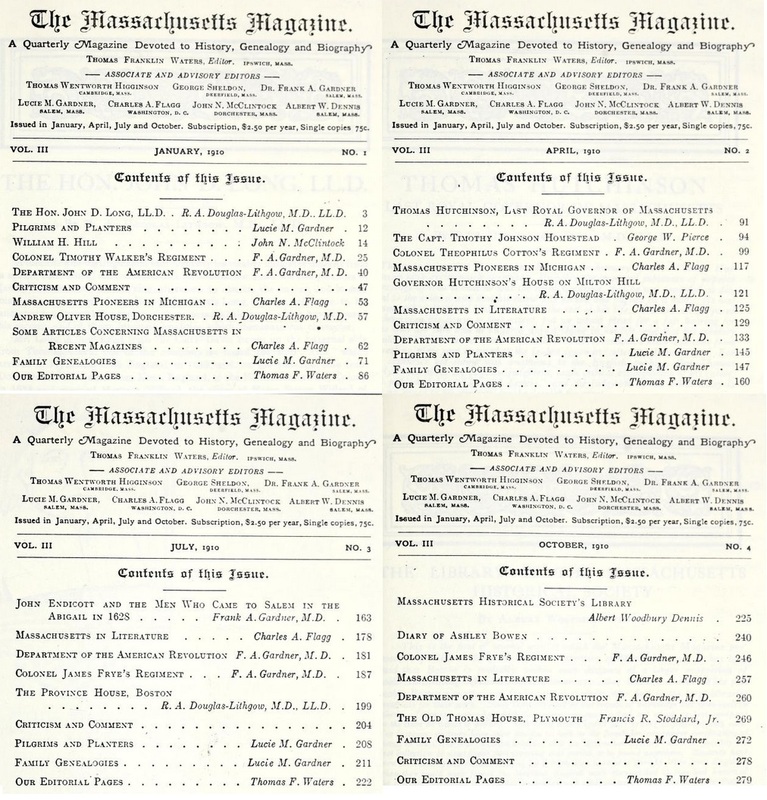 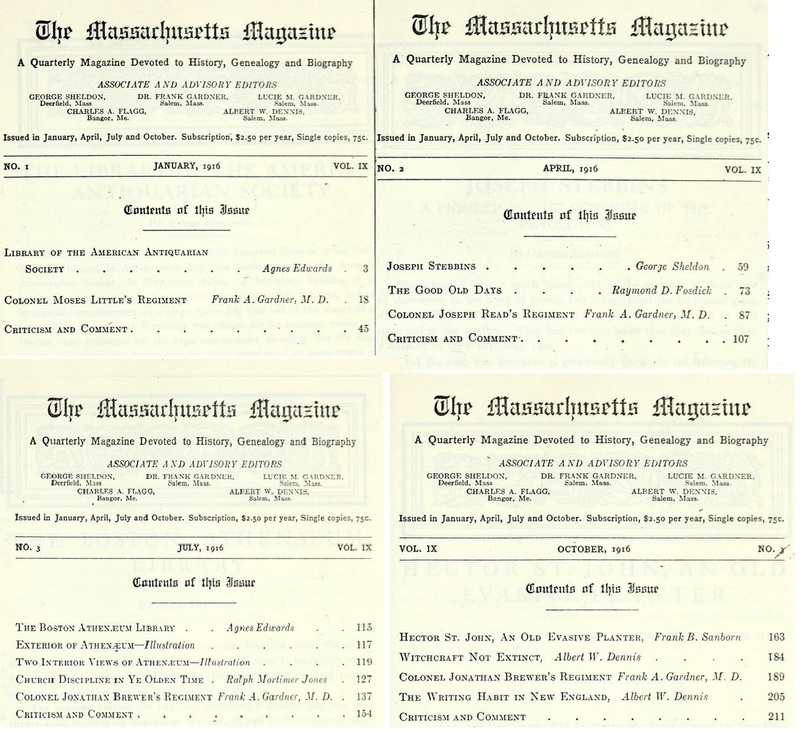 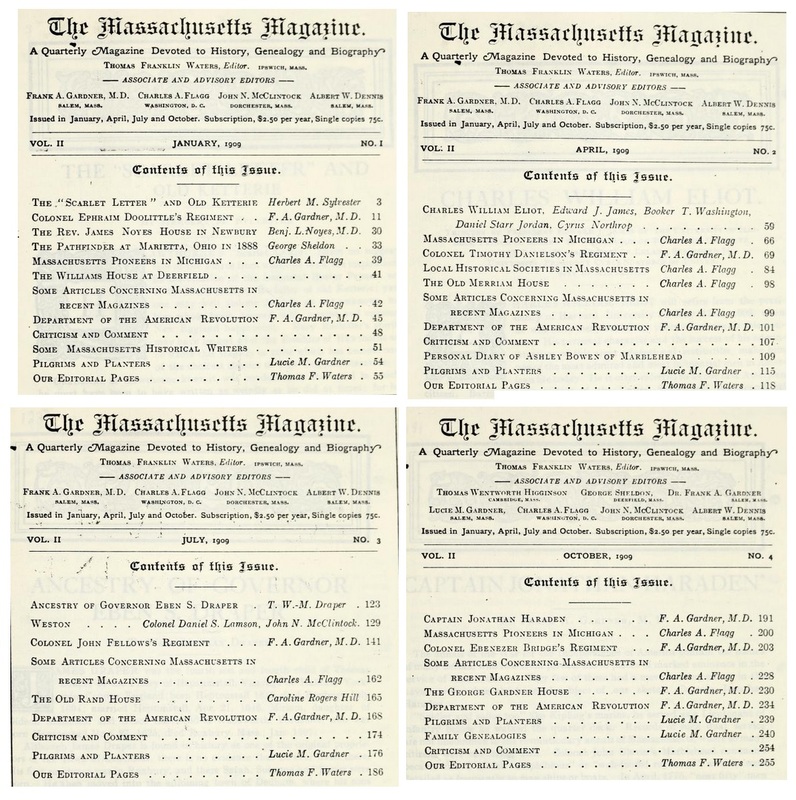 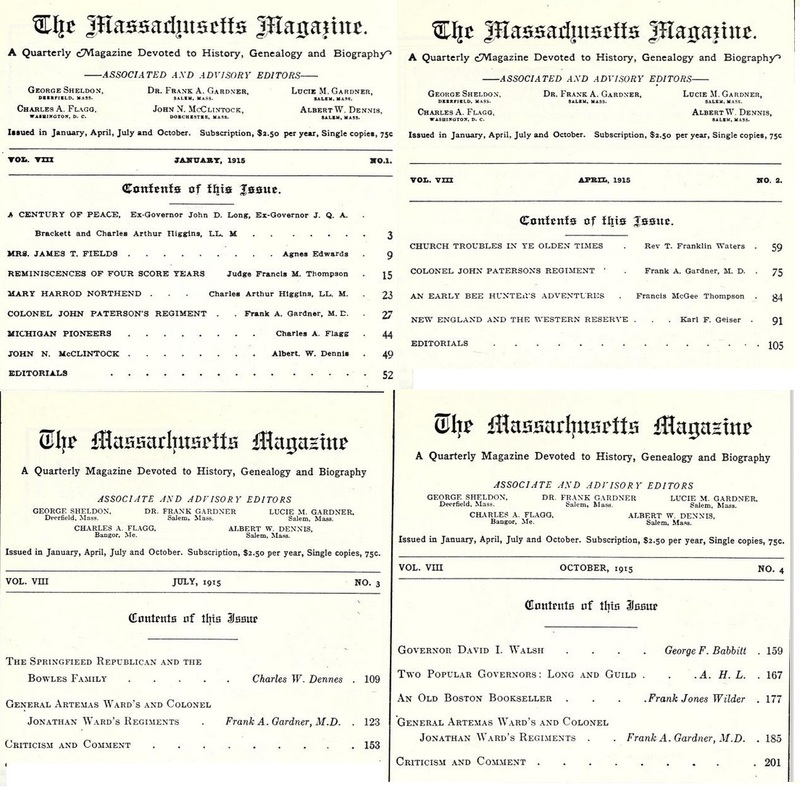 About The Massachusetts Magazine (published 1908-1918). 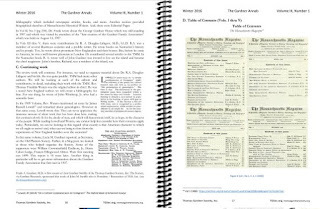 See related posts (the first post). 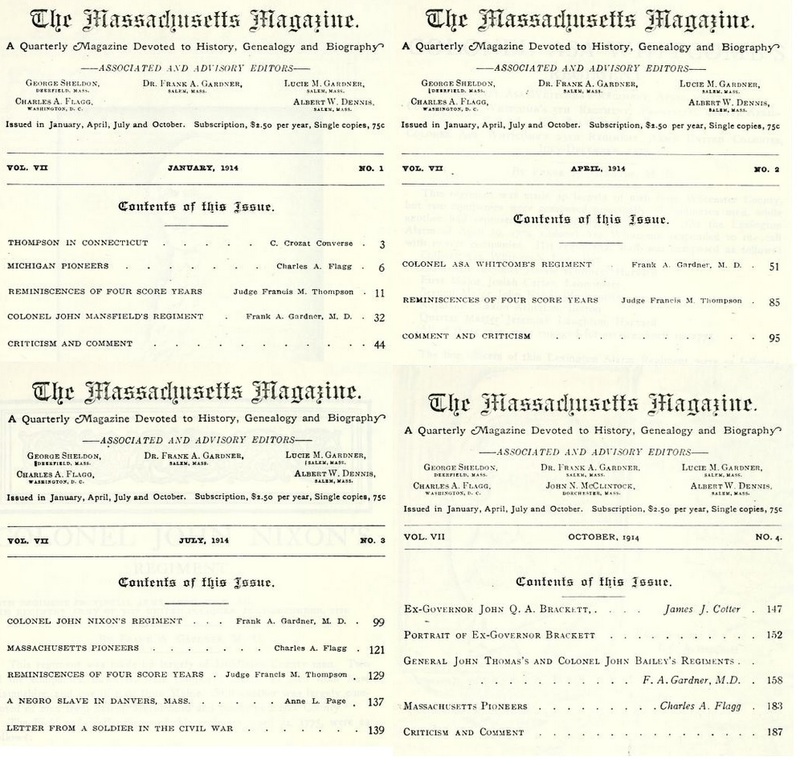 We now have printed the TOC of all of the issues of TMM. 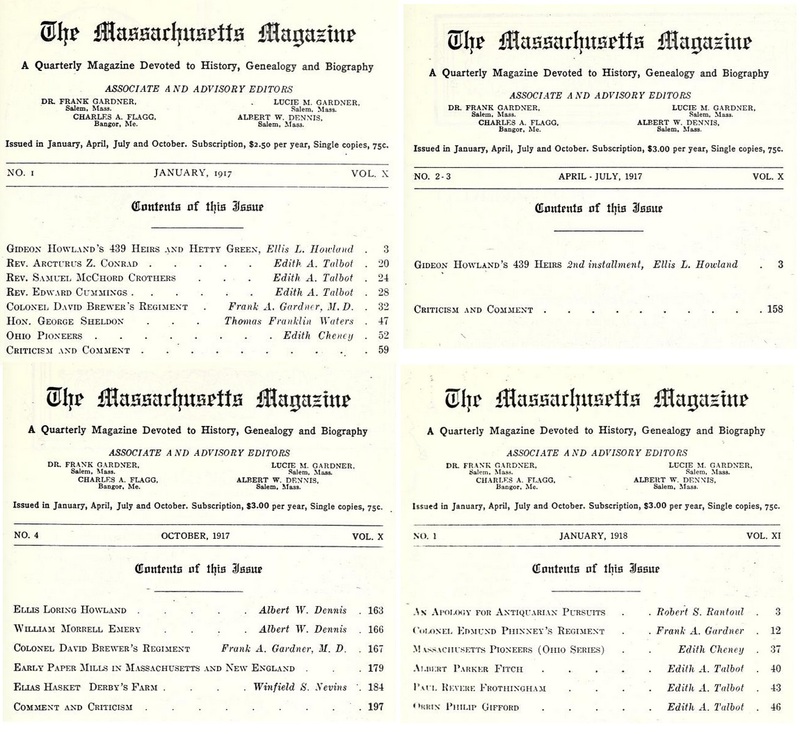 02/12/2019 -- Added image of TOC example to this post; the print has the TOC for each of the four issues per volume together on one page. 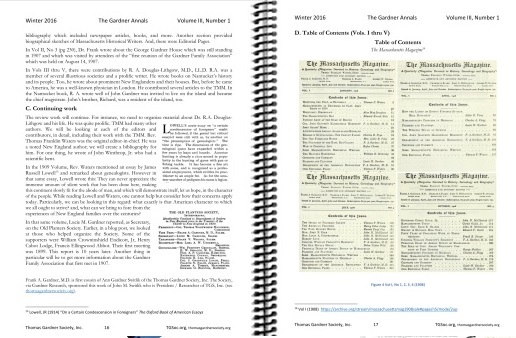 09/30/2018 -- The print version is at the printers. 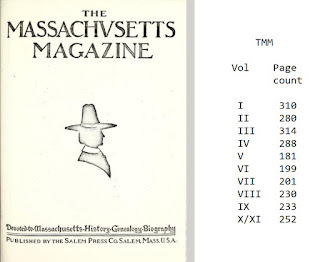 09/22/2018 -- We are about to print TGA Vol III and Vol IV. 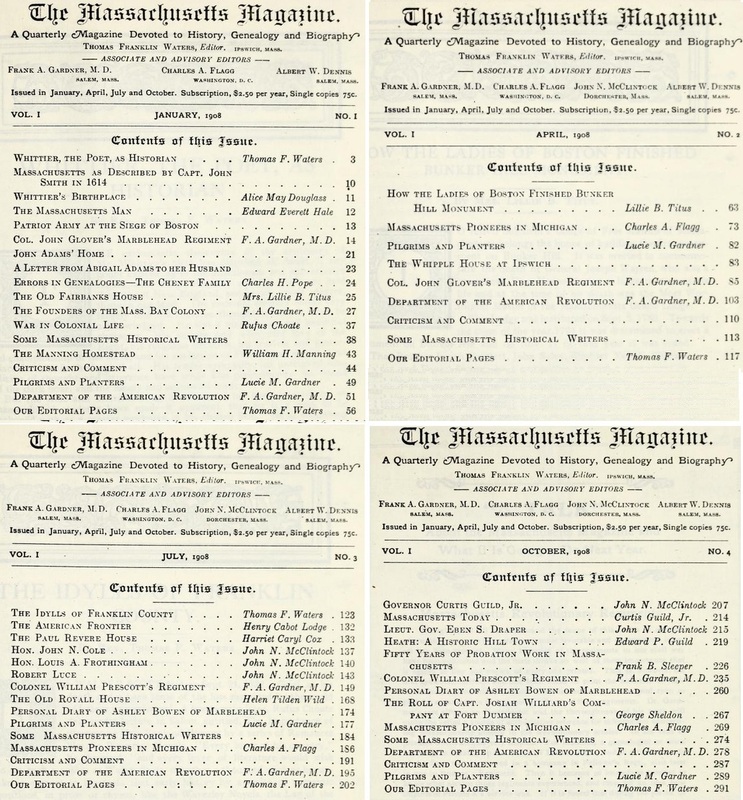 In these two, we will provide an image of all of the TOC from this magazine. 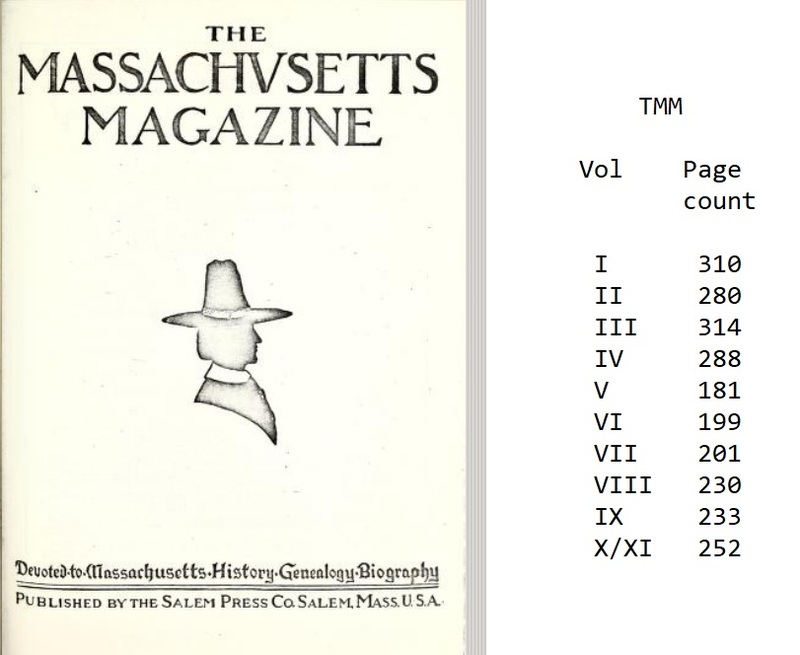 06/18/2018 -- With the finalization of TGA, Vol IV, we can print the whole of the TOC of TMM (color or black/white). 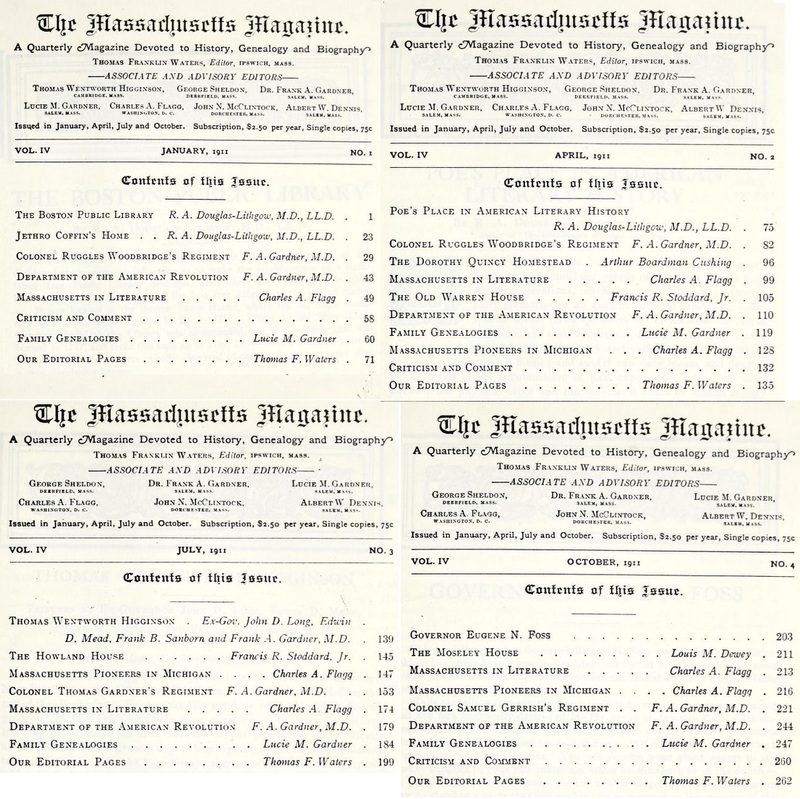 01/20/2018 -- Last issue published in January 1918, 100 years ago.